Our collaboration with Ode to Elma was featured in The Design Files last week. 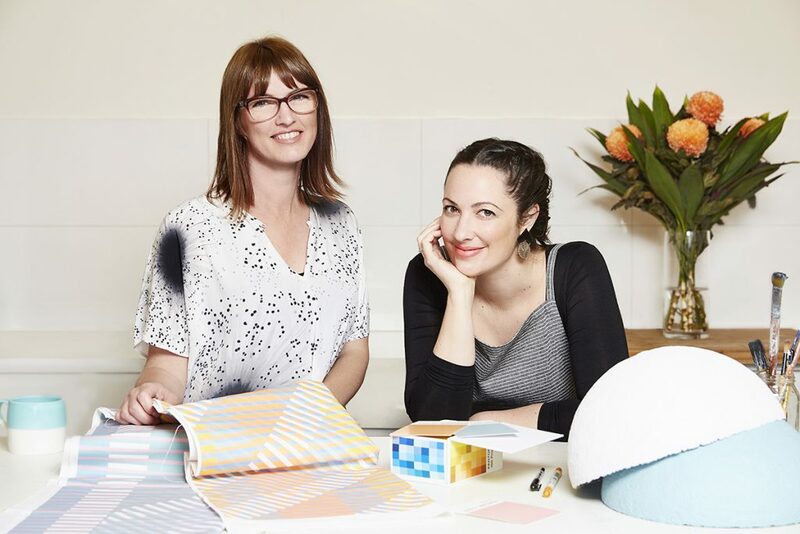 Elle Murrell asked us how Kerrie and I met, what inspires us and how our shared background in Fashion Design shaped our foray into Product Design for the home. Emily Wills from SURFACE 1°22, and Kerrie Mould from Ode to Elma, have just launched their first collaboration through a shared vision to create unique design pieces that reflect their love of colour, texture and print. 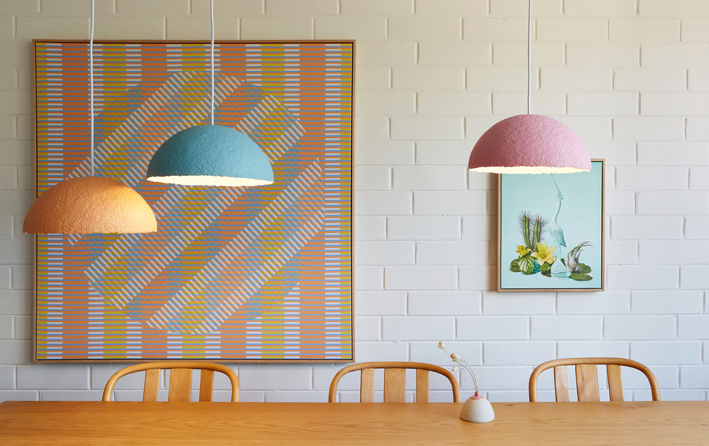 The Melbourne duos’ first collection of contemporary interior products has landed in a swoon-worthy colour palette of peony, sherbet and dusk blue. 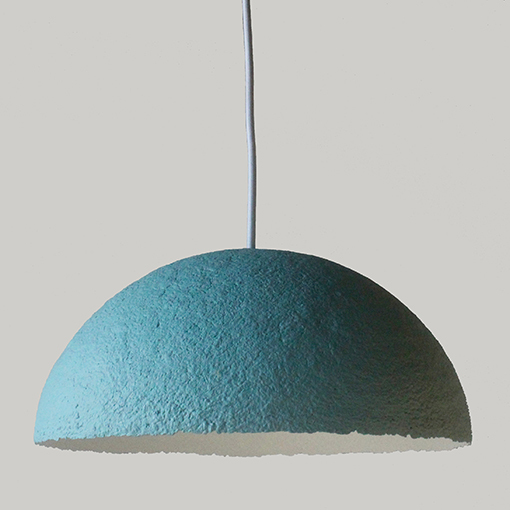 Evoking carefree summer holidays, these limited edition pendant lamps and framed wall textiles draw on the playful styling of coastal boat sheds and seaside towns. Geometric pattern, organic texture and strong form compliment the light-hearted and playful colours giving the collection a truly modern feel. 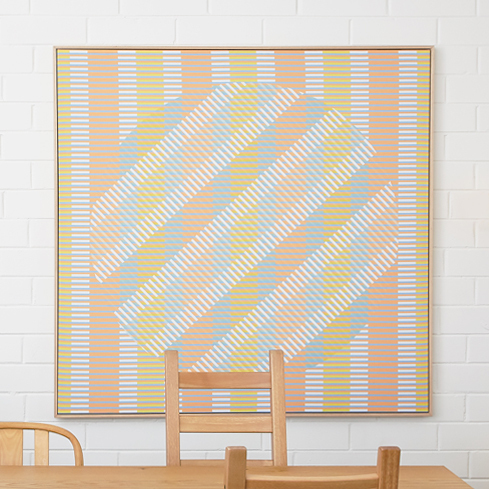 Emily’s limited-edition artwork, ‘Aveira’, takes its name from an imaginary coastal town, and references nautical stripes re-imagined in a contemporary way. 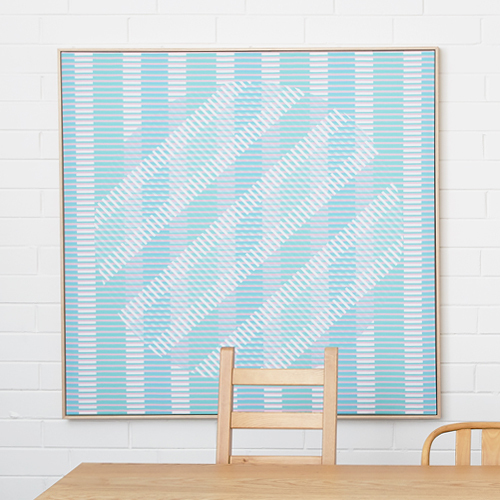 The large-format wall textiles, available in two colourways – Dusk and Sherbet, are printed in Melbourne, and framed in Victorian Oak. Pre-order available until 30 September, 2017 HERE. 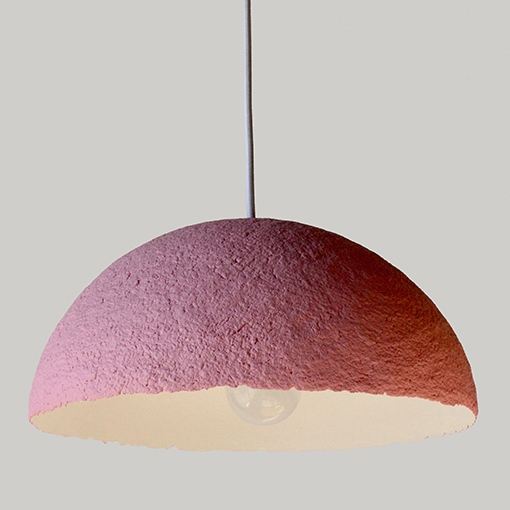 In addition, Ode to Elma’s ‘Lunette’ range of pendant lights are made locally from 100 per cent recycled paper, and come in three colours – Peony, Sherbet and Dusk as well as three size options. Available to purchase online from Ode to Elma.